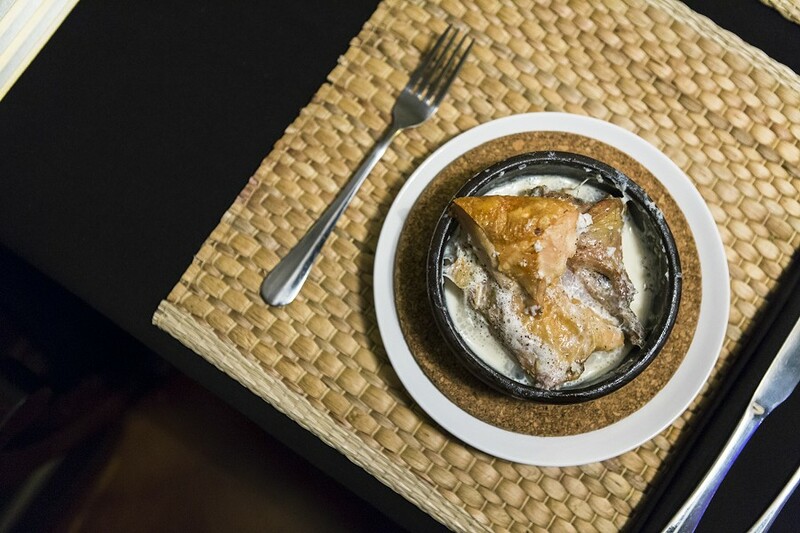 Oksana Douglas wants you to take your time at Chicago Diplomat Cafe, the city's—and perhaps the state's—only restaurant devoted to the feasting foods of the Republic of Georgia. Ideally this should take place over an hours-long multicourse spread known as a supra, complete with toasting, singing, and drinking. 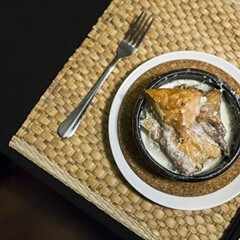 "The style of Georgian food is not to come and eat lunch and run away," says Douglas, who learned to cook the food of the Caucasus—the region bordering Europe and Asia that includes Georgia, Armenia, and Azerbaijan—at the side of her grandmother, a popular restaurateur in Tbilisi. Douglas moved on from there, cooking Turkish food in the resort town of Alanya, then Persian food here in Chicago before she decided it was high time for a dedicated Georgian restaurant. Until now, Argo Bakery on Devon has been the only representation of the food of the Eurasian republic, slinging hot, cheesy khachapuri flatbread from its cylindrical brick oven, called a toné. 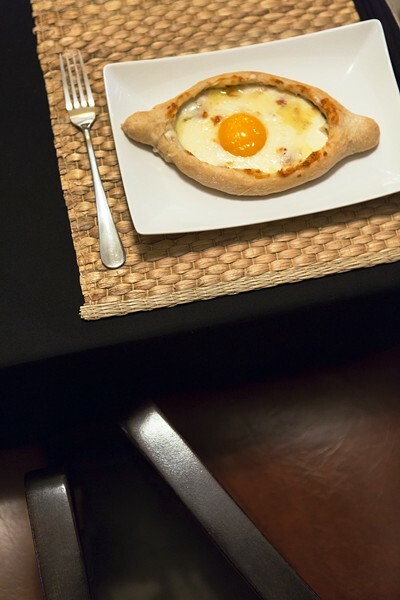 Diplomat certainly has khachapuri, three different variants in this family of bread, including the ajaruli khachapuri, an entree-size boat hollowed and filled with molten cheese, butter, and a raw egg yolk, meant to be swirled together tableside and dredged with torn pieces from the loaf's edges. Douglas is in the process of building her own toné, which will allow her to expand her khachapuri repertoire further, but until then, most of the classic Georgian dishes are on hand, including pkhali, a variant of a whole family of minced vegetable appetizers, this one a kind of doughnut consisting of mulched eggplant, spinach, beet, leeks, and walnuts, garnished with pomegranate seeds. The aforementioned, both nut and fruit, feature heavily in the Georgian diet. Garlicky walnut paste—more like walnut butter—is stuffed inside slices of roasted eggplant. It thickens the dressing on a family-style tomato­-and-cucumber salad as well. Pomegranate juice marinates the mtsvadi, bite-size pieces of grilled chicken, pork, or lamb served with thick wedged fries, all to be dipped in the sweet-sour plum sauce known as tkemali. Stewy dishes abound. 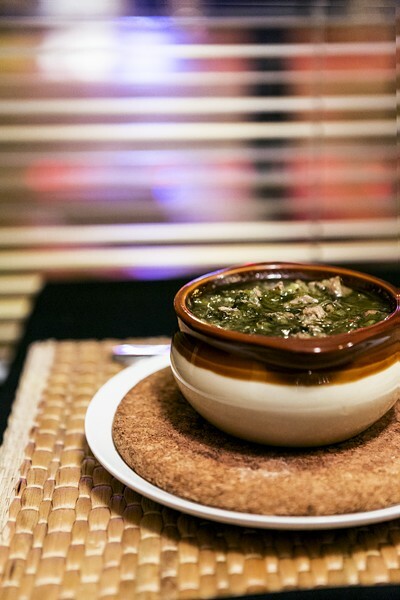 The sour, green plum version of tkemali figures prominently in chakapuli, a modestly portioned roiling lamb stew whose tartness is tempered with an ample dose of tarragon. Ajabsandali, a kind of Georgian ratatouille, is seasoned with khmeli suneli, a blend of fenugreek, saffron, and coriander. Lobio, pinto beans cooked in a clay vase and served with corn bread, is a sort of cross between bean soup and refried beans. The scent of garlic precedes the arrival of chkmeruli, chicken braised in a frothing cream sauce, while chakhokhbili features the same bird stewed with tomatoes, onion, and bell peppers. A more arresting poultry presentation is the chicken tabaka, a whole spatchcocked bird, panfried crispy and served with a trio of sauces: blackberry, garlic, and tkemali. 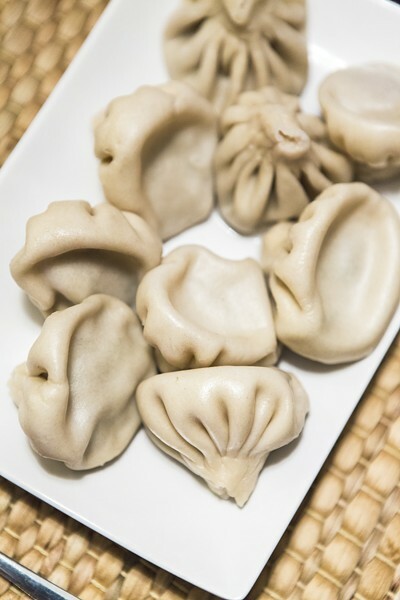 Georgia's most recognizable dish is khinkali: soup dumplings cosmetically indistinguishable from Chinese xiao long bao. 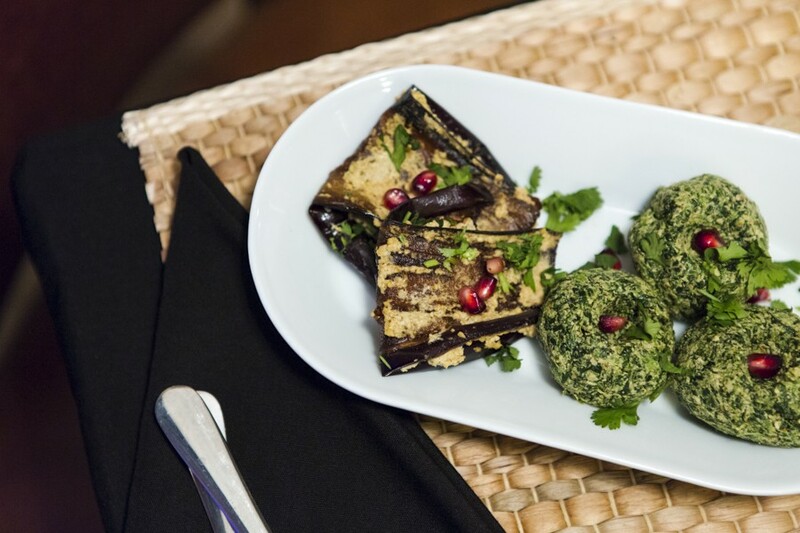 At Diplomat they're stuffed to order with ground beef or pork. And because they're pleated with a sturdier dough, there's no worry that they'll rupture and leak the precious liquid at their center. Just hoist them up by the topknot, nibble a hole in the side, and slurp. Correction: This review has been amended to correctly reflect the chef-owner's name, which is Oksana rather than Oskana Douglas, and the name of the khachapuri with raw egg, which is ajaruli rather than imeruli. A reference to ojakhuri that mischaracterized it as a salad has also been removed.